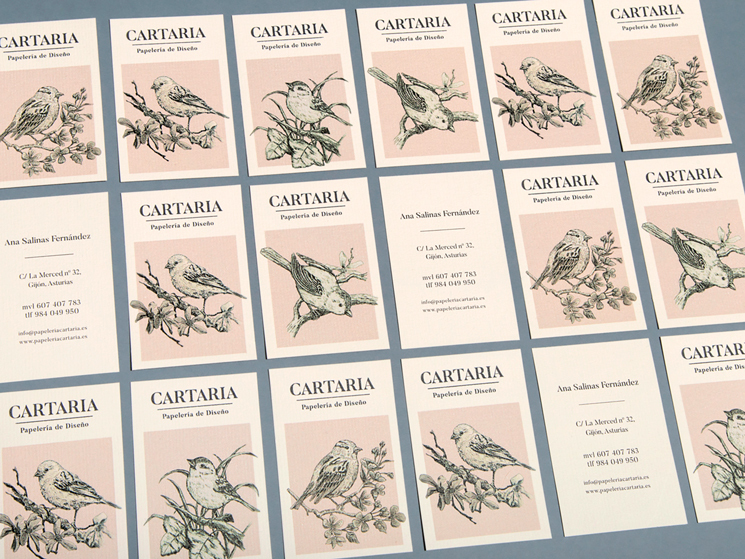 Dmentes Estudio Creativo designed these business cards for Cartaria, a stationery shop located in the center of Gijón, Asturias, offering high quality Italian products such as decorative papers. 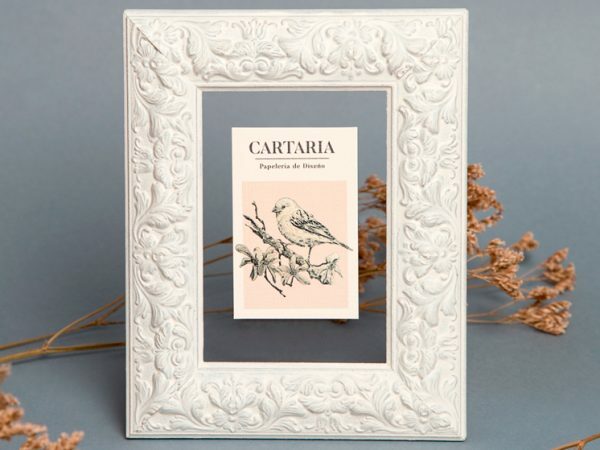 Cartaria emphasizes quality and gives great importance to the aesthetics of their products, including choosing the best materials for their production. Hence, it’s not hard to notice they had applied the same concept in their visual branding as well. A set of delicate sparrow illustrations was created on the business cards using pen and ink to recreate that classic technique, expressing elegance, quality and attention to details.  A well-thought-out, sophisticated typography was chosen for the logo as well. These business cards were printed by Reprografía La Luna. The cards have a simple finish, nothing fancy or too complicated. However, it’s the simplicity of the typography and illustrations printed on laid papers that make this visual identity so unique and full of charm!